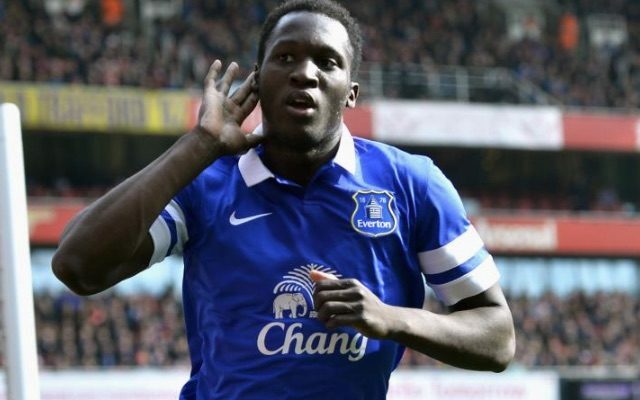 Man Utd have reportedly agreed on a whopping £75m fee with Everton over the signing of Romelu Lukaku this summer, and hope to see him travel with the squad for the US pre-season tour. The Belgian international has been heavily linked with a move to Old Trafford all summer, although there has been interest from Chelsea too in the talismanic forward. However, according to The Guardian, it’s United who have taken a major step towards to landing his signature, having agreed on that £75m fee which takes him a step closer to a move to Manchester in the coming days. The 24-year-old enjoyed a great season last year, his most prolific to date, as he bagged 25 goals in 37 Premier League games, strengthening the argument that he should be playing at the highest level. Despite Everton’s impressive transfer work so far this summer, it hasn’t been enough to keep hold of their most prized asset, although Ronald Koeman will likely relish reinvesting that money into his squad moving forward. As for Man Utd and Mourinho, they’ll be delighted to get a deal over the line as they solve their problems up front. The Red Devils managed just 54 goals in 38 league games last season, significantly worse than any other side in the top seven. Coupled with the departure of Zlatan Ibrahimovic this summer, Mourinho needed a new striker, and he’s got a familiar face in Lukaku after their brief stint together at Chelsea. It seems as though that has been put in the past after the Belgian quit Stamford Bridge due to a lack of opportunities, with the situation undoubtedly having changed since as he will form a pivotal part of Man Utd’s team moving forward, if a deal is completed.